☞ Can we get 150+ likes for fascinating updates !? ☜. If you valued this film you might well likewise like ►.
. ► New music Applied in this Motion picture:. ( test them out – they’re fantastic!). All utilized with Complete Consent. BASE IDEA: build a giant wall around a small biome and just build your stuff and things in there! A sky island, on each island something different! You know, you're really good in that game in your update video. 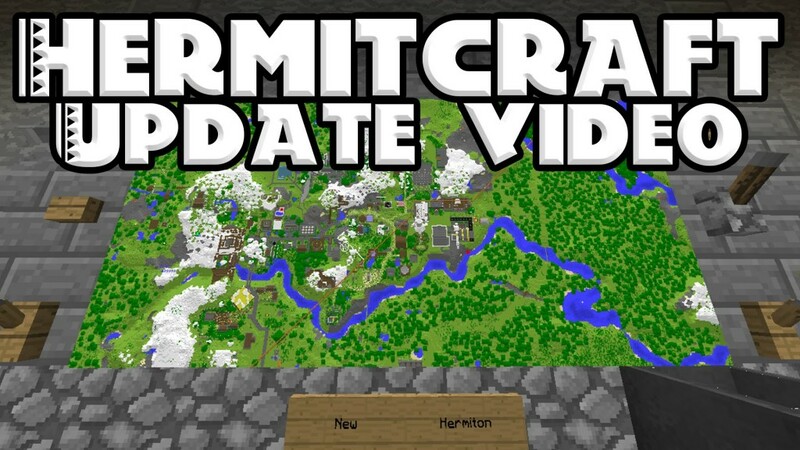 You should suggest it to some of the Hermits 🙂 Anyway, we get the information well, and you already won that Minecraft game like twice in your update videos! U should make a giant steampunk airship! omg i want to donate to be on the patreon server! and i will donate to you on twitch if i ever see you. I don't any any ideas on what kind of base you should build sorry!!! Please do your base in the nether! First of all, before yo ucomment, the new world is going to be amplified so that's that. Also false, an random idea i has was to build an house/base on top of an custom made cloud, how does that sound? also what server was you playing on? And those minigames where hungergames right? Ok, so i've got this really cool and unique idea for a base for the hermitcraft reset. I thought it would be cool if you moved into a snowy biome and made really cool ice-castle out of snow, quartz, ice (of course), prismarine, blue stained glass etc. I've never really seen anyone build in that style, i think the chilly look of a large-scale build like that would be amazing. I sadly don't have the money to donate/be a patreon, wehn i had the money i would become a patreon of course! I am definitely gonna watch your new series false and drop someone else's series (not a hermitcraft series) cause I love the look of your builds that xisuma has shown and the things I see in your stream. Enjoy the reset!!! Make a medival town with a HUUUUUUUGE, non-efficient farm next to it! Could you build a city? BASE idea: it needs to be falsely symmetrical. Choose 2 almost-identical mountains in close proximity (since "Twin Peaks" is coming back, this is even topical in pop culture). Internal elevators, levels for gardens, contraptions, etc. Villager housing, up and down. Build style is on you. Perhaps 1 modern & the other "Middle Ages" or some such? For a big project, collab with Tango, Mumbo and others on the amusement park minigames. You may not be great at redstone, IDK, but you can make them beautiful. For a base Idea how about a: Wo-Man Cave! !